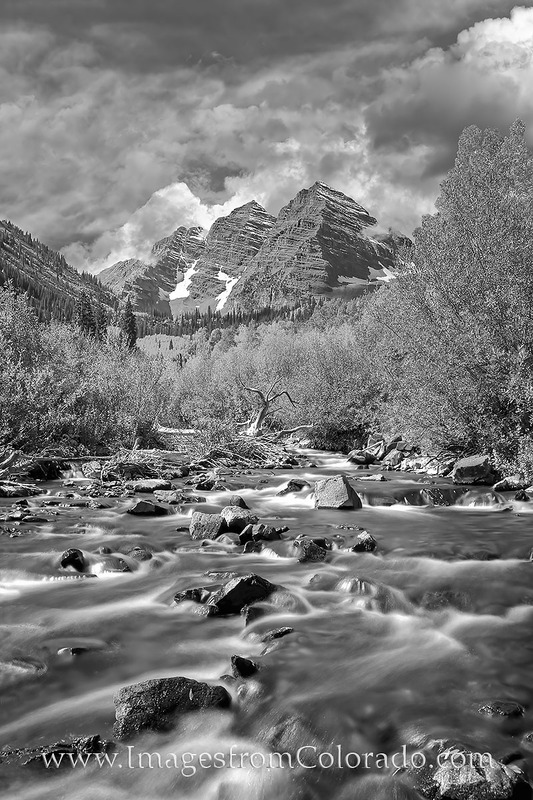 Clouds flow in and around the Maroon Bells near Aspen, Colorado, in this black and white image taken in September. In the foreground, Maroon Creeks flows down on its way into Maroon Lake. This area is beautiful in Autumn, and this day was no exception. Photo © copyright by Rob Greebon.